BRUSSELS, Belgium -- Ukrainians had a number of reasons to celebrate this year. They commemorated the twentieth anniversary of their country’s independence — declared by parliament in August 1991 — and its first manifestation of universal suffrage when in December of that same year roughly 90 percent of the population backed the parliament’s declaration. Ukrainians had high hopes for a democratic and prosperous future. However, two decades on, the direction their country will take is still far from clear. While many observers would like to attribute this stagnation to ineffective politicians or the population’s flawed mentality, the roots of Ukraine’s problems run deeper. The source of Ukraine’s problems lies in the country’s Soviet legacy and the consequent lack of a national narrative and identity. This explains the chaotic nature of Ukrainian politics as well as the population’s alienation from the state. Politicians are seemingly the only beneficiaries of the status quo, as it grants them virtual immunity to rob their own country. Ukrainian independence happened by and large by default. Few observers would argue that it was the result of popular desire or a long-term struggle on behalf of the nation’s elite. Ukraine’s leadership — largely former communist party members — had to bring the country out of a massive economic downturn while simultaneously building the state and its institutions. In effect, they had to build the ship while it was sailing. Issues of national identity were therefore largely ignored in the 1990s. It was difficult to find a unifying narrative for a population that had been brought together within the same borders for the first time in history and that comprised numerous different cultural, linguistic, and religious backgrounds as well as diverging historical outlooks. There were subsequent efforts to forge a Ukrainian national identity based on language and culture. This started with a process of “silent Ukrainianization” during Leonid Kuchma’s second presidency — from 1999 to 2005 — when the Ukrainian language began to play a more prominent role in education and the public sector. It proceeded with “imposed Ukrainianization” during Viktor Yuschenko’s presidency from 2005 to 2010. This process, however, was not well received in certain parts of the country. While many eastern and southern Ukrainians did not object to western Ukrainian language and culture, they did not want these to be imposed upon them. The current president, Viktor Yanukovych, is therefore making concerted efforts to reverse both the subtle and harsher policies of his predecessors. Despite numerous declarations to the contrary, Ukraine’s elite has little vision for the country’s future. 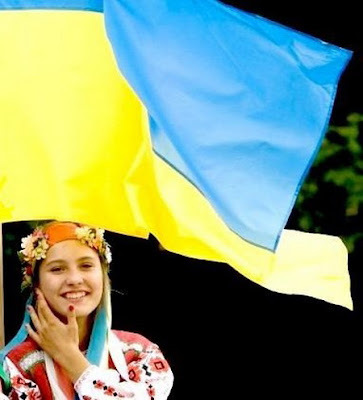 No single politician or political party has yet suggested a narrative capable of unifying all Ukrainians. Even the Euro 2012 European Football Championship, which was touted as an opportunity to unite the nation, has resulted in little more than oligarchs across Ukraine replenishing their coffers courtesy of the state. Political parties still prefer to identify with either eastern or western Ukraine, with no single party drawing strong support across the country. Parties continue to exploit divisions between east and west, or Ukrainian and Russian speakers, and still rely on pro-Western or pro-Russian rhetoric during elections. Politicians fight for power to ensure their own personal enrichment, while Ukrainians are left to fend for themselves. The population’s view of their country’s future is no clearer. The situation in Ukraine differs significantly from that in Poland. In the 1990s, Poles wanted to embrace democracy and the market economy and to reintegrate with Europe, which they saw as their traditional home. Ukrainians lack a similar sense of purpose as a nation. They are ambitious and want to be a strong nation, but in reality they are disappointed and disillusioned after twenty years of independence. Ukrainians are still in favor of independent statehood. According to the Kiev International Institute of Sociology, if a referendum were to be held this year, 83 percent of Ukrainians would support independence. This support has fluctuated over the years, yet it has never dropped below 50 percent. Moreover, these fluctuations should be attributed to the public’s disillusionment with Ukraine’s politics rather than skepticism toward the meaning and value of the country’s statehood. Few Ukrainians have any faith in the institutions of their government. According to the Razumkov Centre, a Kiev-based think tank, only 6.5 percent of Ukrainians fully support their government. Ten percent support the president, 5.3 percent support the parliament, while a paltry 4.2 percent support the judiciary. Alarmingly, only 2.2 percent of those interviewed trust the political parties in Ukraine. Nor do many Ukrainians believe in their own power. Prior to the presidential elections in 2010, nearly 85 percent of voters felt disenchanted with those in office and nearly 60 percent had little faith that the election would bring positive change. Additionally, nearly 50 percent of Ukrainian voters believed that their participation in elections would have no impact on government policies or the future of the country. There is still a gap between western and eastern Ukraine. However, this gap does not pose a significant threat to the country’s statehood. While there are still differences between the eastern and western, and central and southern, regions of the country, there are also a number of shared traits. According to the Sofia Centre, an independent think tank in Kiev, Ukrainians are individualistic, preferring to distance themselves from society. As in Soviet times, they have little trust in their fellow citizens and prefer to rely on kinship and friendship networks. By and large the kitchen remains the primary forum for Ukrainians to express their patriotism and discuss their problems — involvement in the public sphere of politics is comparatively rare. Although Ukrainians still look to the state to provide public goods and services, if and when the state fails, they are used to ignoring or giving in to corruption to satisfy their needs. With politicians serving their own interests and the population fighting for survival, Ukraine has nowhere to go but down without a change. The issue of a national narrative and national identity, therefore, becomes more vital. While uniting Ukraine around language, culture, or history may prove to be elusive, focusing on building a political nation could provide a solution. The basis for this alternative is already in place. Ukrainians from Donetsk to Lviv to Simferopol, and to Kiev have already identified themselves as holders of Ukrainian passports. The Orange Revolution brought Ukrainians to life as a nation. However, the mistakes of that moment in the country’s history should not be repeated. Relying on a single politician to sort out all of Ukraine’s problems is no longer an option. The same goes for external support. The West cannot help Ukraine and its people find direction and purpose. Nation-building cannot be imposed through a top-down process, nor can it be brought about by spontaneous grassroots movements or a popular revolt. A society-wide discussion is needed to establish the parameters of any future political nation. The building of such a nation is a prerequisite for building a multicultural, multiethnic, and otherwise diverse Ukraine. The question of who will lead this grand debate and reach out to the disillusioned Ukrainian population, though, remains unanswered.